I began crocheting just so I could make our daughter some items she could keep as she got older. It meant a lot to me to be able to give her such meaningful gifts that I hoped she would appreciate. As things progressed, I found myself selling my makes to friends and family and soon after that, opened my Etsy shop in 2012. After a rollercoaster of successes and failures and feeling burnt out, I chose to cease selling finished items in January of 2016 and began dabbling in the world of pattern design. After many successful (and not-so-successful) designs, I chose to switch things up a bit.. 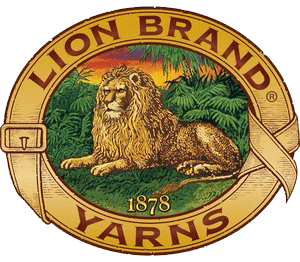 In 2017, after feeling a bit burnt out from the pressures of others waiting (im)patiently for designs to be finished, I chose to spend this year working privately with yarn brands for commissioned designs and I had a BLAST. Being able to create new relationships with these people, try new yarns, challenge myself, and learn new skills really showed me that I am capable of doing anything I wanted. All I needed to do was to be kind, work hard and EARN those opportunities. In addition to commissioned designs, I was also able to embark on a new path I had never done before: blogging. Let me tell you, the moment you receive an email inviting you to be a blog contributor to the Creative Spark blog on the JOANN Stores website will require you to change your pants. This moment was SO huge for me and truly an instrumental moment in my career. Not only did this huge company SEE me and wanted to work with me, but they also trusted me enough to do this job despite the fact that I had never really blogged before.. Gulp. The first post I did for them was a MESS. But I did it. And each month was better than the last. Just because you don’t know how to do something, doesn’t mean you are incapable. If you tell yourself you can’t do something, that’s YOU limiting yourself. Don’t do that. Dream big and work hard until they aren’t dreams anymore. Your dreams CAN become a reality, believe me. It’s ok to fail a few times because it allows the successes to be even more sweet and even more appreciated. I was fortunate to blog for JOANN for the entirety of 2017. Today I am so fortunate and grateful to be able to enter a new season of my career - one where I am able to do bigger, more intentional, things. I was able to work with the amazing talents behind Talewind Visuals (do you see these graphics?! Holla at Carly!) to create this amazing website where I can share more of my work as well as share the amazing work and stories contributed by others. I am so proud to be here today, to have been supported by all of you for all of this time, and to finally be able to give back to not only the Makers that encouraged me, but I’m also excited to announce that a portion of the website proceeds are also being given to local charities (such as the Liberty House located in Salem, OR) to benefit children who are facing dark times and deserve to be shown that there ARE good people in this world and they ARE deserving to experience love, compassion and care. As a child, I dealt with many dark moments and had to overcome lies, self-made limitations, and many traumas. As I’ve gotten older, I’ve been able to see these moments in a new light and can recognize that I am worthy. I am a gift. I am NOT a mistake or any other lie that was told to me. I deserve happiness and even though I have enough skeletons in my closet to fill an entire cemetery, I am not defined by them. Many in this world have not been told of their worth, yet. Many do not believe in themselves or understand how deserving they are of anything good. It KILLS me and it’s one of my most important goals in this life to encourage others and allow them to feel what I feel today. Many of us have stories to tell. Many of us have dealt with trauma and pain. However, many of us have also discovered the sweet comforts of healing from these experiences. By sharing our stories with anyone willing to listen, we can initiate healing processes for those that needed to hear that they aren’t alone, or that there is light after darkness. By being vulnerable and transparent allows for not only a relatable truth for the audience, it also can institute internal healing for the Maker as well. Expressing our human emotions and granting others the truths that we all are in this together and are all figuring life out through our personal successes and failures, encourages a sense of community more so than just the mere fact that we all enjoy yarn. Many people enjoy being a Maker for reasons that run so deep and so profoundly, that being able to express these feelings with the world around us can lead to rewards we never knew we were capable to gifting. Your past does not define you. Your actions or the actions of others towards you does not define what you are worthy of or deserving of. It is never too late to take on a new perspective, one that lifts you up, encourages you and makes you a better person. Turn the dark moments into opportunities for growth and to know how NOT to treat those around you. Live this life for others, away from selfishness, and for the glory of God for He is the one who has changed my life and is fully capable of changing yours. You are good. You are beautiful. You are loved. Never, ever forget that. To be a haven for Makers to solely be uplifted and supported while gaining inspiration to build their confidence in themselves as well as within their chosen craft. The Hook Nook Life Blog is a community effort to uplift and inspire the people around us through our crafts, our wisdom, our encouragement and, most importantly, our stories. We find it so important to share the wealth of knowledge and wisdom we collectively possess to expand the growth of our community and the benefits we can share as a whole. To inspire all generations to experience the joys and pride in making with your hands, no matter the medium, and to strengthen our self-confidences at the same time. To love yourself is the most rewarding and fruitful gift that you can give yourself, and to watch your own skills and talents blossom before your eyes can ignite you in ways you never knew were possible. Not only do we want to create a stir within everyone who spends time on this forum, we also want to be a source of support for those that feel as though they don’t have or deserve any. As a collective body, we are happy to announce that we are donating a portion of proceeds to local charities such as Liberty House and ABC House. These particular organizations are wonderful resources for those in the Linn, Benton, Marion and Polk counties in Oregon, USA who work with children, youth and their families to overcome the crisis of abuse and neglect. As a teen, I visited the ABC House out of need. Now that I am an adult, I can see the importance of these places and the impact they have on victims. To be able to donate and give back to these places while also sharing my story and, in turn, providing comfort to those who are battling similar pains is truly such an amazing gift in my life. Thank you for all that you are allowing us to do by simply supporting our community. So, cheers to doing BIG things in our world and within ourselves. We are worth it. Jennifer (Jen) Evans is a full-time Maker in Oregon working alongside both Jessica Carey from The Hook Nook as well as Heidi Swapp with American Crafts. She has been an artist for as long as she can remember, but it wasn’t until after the birth of her first child when her twin sister encouraged her to audition for a local design team and won which initiated her career in the craft world. Today, a decade later, she has the amazing opportunity to work with one of the leading paper crafting companies in the world as Heidi Swapp’s Marketing Specialist and Educational Assistant. She thoroughly enjoys encouraging others to fuel their joy with crafts and taking the time to keep their memories through scrapbooking and other memory keeping arts via her blog, Create Often. In 2016 she was gifted a one-on-one crochet class with Jessica Carey which quickly blossomed into a partnership. She has been Jessica’s assistant since January 2016. You can typically find Jen wrapped up in a cozy blanket by the fire on those chilly Pacific Northwest days, or outside in her garden enveloped by the flowers that inspire her. 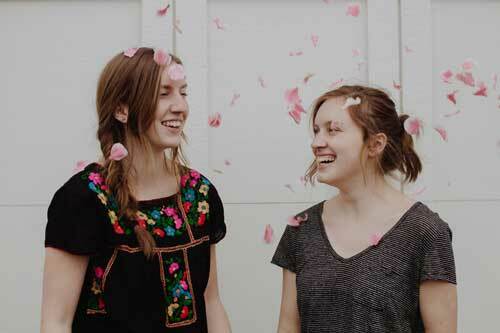 Sarah and Emily are a sister duo of wedding, portrait, and lifestyle photographers currently based in Salem, Oregon. They are two creatives with different eyes working under the same vision, shooting with a combination of fine art and documentary styles of photography. They found The Hook Nook through Instagram and were instantly drawn to Jessica’s style of crochet and her passion to initiate a community that can be proud of what they are creating! You can find more of our work on our site, see it here! A collection of write-ups, features, collaborations and more featuring The Hook Nook and Jessica Carey.